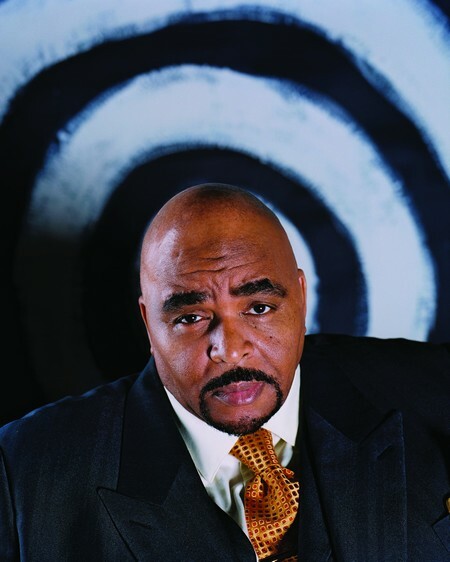 June is African American Music Appreciation Month, so in the spirit of appreciating, here’s a reprint of my June 2008 interview with Solomon Burke, the Philadelphia-born King of Rock’n’Soul. At the time we spoke, it was my aim to get him to talk about the soul music of the ’60s, how it soundtracked through the civil rights and black power eras to become inextricable from those times. Yet aside from his reminiscences about those times and the friends he’d lost, Burke had some other thoughts on the subject of soul that were quite unexpected. As an interviewer, I’m always happy to be surprised, but what I really didn’t expect was how four years later, I would still be carrying the conversation with me. Nor did I realize till much later, the ways in which our talk would ultimately set the course I took for my book, Keep on Pushing (this is mostly a full transcript of the first interview, including some parts that didn’t appear in the book). Burke’s final recording, Nothing’s Impossible, made with Willie Mitchell at Royal Recorders in Memphis and released in 2010, was a fine farewell. The singer passed on October 10, 2010, on his way to Amsterdam where he was quite popular. I regret I never got the chance to say thanks again for the inspiration he provided me over the course of our two interviews. “Liberace was soulful. In fact, you couldn’t get any more soulful than Liberace,” laughs Solomon Burke, only he’s not joking. Ever since 1964, when an enthusiastic DJ crowned Burke the King of Rock ‘n’ Soul, he’s taken his title seriously. Plus his added credential as a minister born into the House of God of All People means when you ask him a question like, “What is soul?,” he’s going to go deep. Not too long into my conversation with Mr. Burke, as I was happy to address him (and he didn’t discourage me), boom, I felt it too. Whether it’s his clerical background or just part of his nature to be a listener, Burke is a skilled raconteur who saves space for other voices in the room, responding on a careful soul to soul basis with his conversant. For example, he was just as keen to talk about my work as he was his own (I’ve edited out most of that conversation for the interest of the general readership). Author Peter Guaralnick, in his book Sweet Soul Music, referred to Burke as a “…rare spirit, a ‘character who is also a serious artist’” and to his “outsized spirit and outsized talent.” Most of what I know about Burke’s history comes from Guaralnick’s interviews with him. But what I felt when I talked to Burke myself was something else entirely—perhaps best described as spiritual refreshment—and it’s something that I will carry with me from here. Crawdaddy! : I want to start by saying thanks for all the great music. 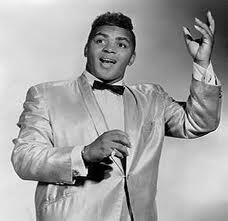 Solomon Burke: I’m still trying. Crawdaddy! : You’re succeeding. Your performances on the new album are as moving as ever. Tell me how you first became acquainted with Steve Jordan. Burke: We’d been talking about making an album for a couple of years now… I worked with him on festivals and I loved his rhythms. It’s so nice when you’re working on a big festival show with 75 acts and you only have 20 minutes to rehearse and the drummer’s on time, someone who keeps the rhythm and the pulse. He’s not only a taskmaster—I recognized him as a great musician and a beautiful person. Crawdaddy! : When you got the songs together for this one, was he a part of the selection process? Burke: He was certainly a part of that—we had a wealth of songs to choose from. We had these songs from my great friend Eric Clapton, “Like a Fire” and “Thank You”, and I wanted to go with the strongest songs that would make the strongest story, because the story has to be able to reach somebody. That’s my goal. Crawdaddy! : What piece of Clapton’s song “Like a Fire” jumped out and made you recognize, “This is the story”? Burke: I had quite a few of those on this CD but it was the line, “burning in my soul.” There’s a difference from when it’s burning in your heart or burning in your mind. When it’s burning in your soul it’s affecting the movement, your expression, your taste, your desires, your needs. It’s deep—it’s deeper than heartache—it’s burning in your soul. A lot of people don’t understand that and this is why, to me, it meant so much. It was able to get to the core of the feeling and I just wanted to sing it lightly, and as rightly as possible, without shouting it and without hammering it and without bam bam bamming it out, but with that touch. And he has that magic touch on the guitar that’s so comforting. Crawdaddy! : Yes, that is the exact description of it—comforting. I want to come back to the songs but since the subject of soul’s come up, it would be great if the King of Rock ‘n’ Soul would define soul in his own words. Burke: You set me right up for this one: It’s a burning desire, that’s an everlasting fire, burning inside the heart and mind and spirit that develops a soul. It happens with you in your writing, it happens to a cook, to a poet, and an artist. When something happens that you create and develop, it’s a personal soul expression that comes out. You and I may talk for an hour and you may take 10 minutes of what I said and make it all come out in 10 lines or 10 words. That’s the soulful expression coming from you, connecting with me, or whomever you’re dealing with. That’s the song, that burning desire, that’s like a fire within us. We either turn the flame up or turn it down. We make it work for us. The soul within you regulates exactly what you need and what you want and what you desire to release. Crawdaddy! : How about the phenomenon of soul music and its rise in the ’60s? Will you speak to that aspect of soul and how it relates to the African American experience? Burke: Well, it’s very nice to think that it’s a category of race but it’s not—it’s a category of face. It’s face value: Who you are, what you value, and what you’re about. It makes no difference what color your skin is or what country you’re from. It has nothing to do with color, it has nothing to do with time, it has nothing to do with a certain world. It’s who you are. Tom Jones is soulful. Dusty Springfield is soulful. We can go back… Beethoven was soulful. Marian Anderson was soulful. Paul Robeson was soulful. Liberace was soulful. You couldn’t get anymore soulful than Liberace! Ray Charles… c’mon! Crawdaddy! : What do you think shuts down the soul and extinguishes the fire? Burke: Hurt. Pain. Suffering. Disappointment. Shame. Recognition. Crawdaddy! : Or lack of it? Burke: All of it: Lack of love, lack of affection, confusion… all these things contribute to that lack of soul. Burke: Sam Cooke. Jackie Wilson. C’mon! Wilson Pickett… you know, Aretha Franklin… there’s a fire burning inside of her right now, right this minute. If we could get a hold of her right now, you could hear that fire. When she sings certain songs, it’s released. When she sings, “Chain chain chain,” you can hear a thousand people singing it. That was written by Don Covay, who can express it better than anyone in the world, but he wrote it for Aretha because he felt her need. Tom Jones sang, “What’s new pussycat?” I could say it 40 times and it doesn’t come out like he does. When I say it, it sounds like I’m talking about a cat! When he says it, it’s a love affair. Isn’t that amazing? Crawdaddy! : I really like that idea of a soul connection, as you say, Don Covay could really feel that Aretha needed to sing that song and passed it on. Crawdaddy! : The Keb’ Mo song on your album? That’s right in that spirit, isn’t it? Crawdaddy! : That’s exactly what’s happening. People need music that speaks to the soul in these times! Burke: People need each other. We need to realize that we’re all one. We need to touch upon each other’s hearts and not try to destroy each other. Crawdaddy! : Amen. 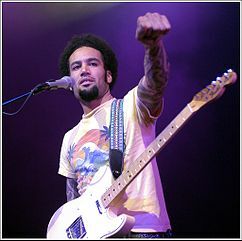 Will you talk a little about Ben Harper’s soulful nature? I see him showing up at all kinds of community events, speaking out, pitching in. Crawddady! : Did you have any role models to inspire you in your ministry work as you were coming up? Burke: I had an extra blessing because when I was born I had the support of trombones, tubas, and bass drums. I never knew what key I was crying in but I must’ve done all right because it didn’t confuse the church! So I thank God for that and I thank God for that guidance my grandmother gave me—that walks with me today and has not changed my connection or direction, and has allowed me to go through trials and tribulations and situations. Beyond a terrible moment of life and from the pits of hell, I can emerge, and I want to teach others to emerge from that. Trouble doesn’t last always. And where there’s a dark cloud, there’s a sun getting ready to shine. There is a rainbow. Crawdaddy! : Your album Don’t Give Up on Me was perceived as a comeback. What did it mean to you? Burke: I called it a come up. It was a step up. I was catching up to my step up… the Fat Possum situation was an incredible story. I met this fellow at a festival in Portland. He said, “I’m with Fat Possum,” and I said, man, what kind of insult is this? I mean, I’m trying to lose weight, I’m working on it! I told my daughter, don’t be evil to the guy, he’s a nice guy, but just get his number or something and we’ll call him… this tall guy with afro hair sticking out, and I’m thinking he’s gotta be some coach for the Fat Possums… he wants me to be their mascot. So I get on the plane and he’s the last person on the plane and he sits right behind me. He says, “… I don’t know if you believe in fate…” And I say, “Do I believe in fate? Do you have a suit that’ll fit me?” That’s the beginning of that story. We hit it off, had lunch, and made a record. It was one of the greatest moments in my career and the first record company that was ever sincere and dedicated and real; it has left an everlasting memory in my mind. We had a two-page contract; they lived up to every word of that contract and they did everything they possibly could for that record to bring it home and they gave me my first Grammy. But they gave me great songs—Elvis Costello, Van Morrison, come on, that was an incredible CD. Crawdaddy! : Did they have to sell you on the producer? Burke: They had to sell me on Joe Henry because I didn’t know Joe Henry and Joe Henry didn’t know me. But what I liked about it was there he was with us having lunch at a deli and he wanted some grilled pork chops. I’m having matzo ball soup and he wants grilled pork chops? This is the guy we need to have producing. Little coincidences that for me are the soulful part of it, that special touch of soul we talk about. Crawdaddy! : There’s plenty to say about the technical aspects of your new record, playing, songwriting, and production, though I’m afraid we just got around to the soul of it today. I think our talk helped me more than it will help your record! we’re on the move, we keep going. We don’t turn backwards. We go forward because it’s a journey, it’s not a trip. Anyone can do a trip, one way or round trip. When you’re on a journey, you have a destination. Crawdaddy! : Speaking of journeys, I noticed your summer concert schedule: Europe in one city a day? How do you endure? Burke: Prayer. And faith… because that’s the journey that we’re on. We’re sending out that message: Send a little love, let’s light a fire, don’t give up on me, I can’t stop loving you, If you need me call me… isn’t it amazing? Filed under: R&B, Solomon Burke, Soul, Chain chain chain, Don Covay, Don't Give Up On Me, King of Rock'n'Soul, What is Soul?